Repair unattractive scuffs and scratches on your car wheels with WheelWizard wheel repair kits by ScratchWizard. 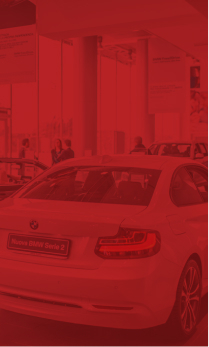 Whether you are repairing scratches or repainting entire wheels, our automotive wheel paint has you covered. 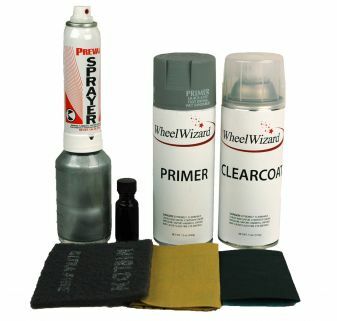 Each aluminum wheel touch-up paint kit comes with sandpaper, a scuff pad, 12 oz. primer, 4 oz. silver wheel paint with sprayer, 1 oz. black wheel paint that darkens your wheel paint if necessary, and 12 oz. high-temp clear coat. We offer both hypersilver and alloy wheel touch-up paint to match a variety of manufacturer colors and finishes. Anyone can repair scratches on their car wheels with our alloy wheel touch-up paint. Just take a look at our easy instructional video that will show you exactly what to do while you are making repairs in your driveway. WheelWizard is the easy and quick way to add value to your car. Shop WheelWizard aluminum wheel touch-up paint kits for high-performance wheel touch-up paint that gives your vehicle a professional look and finish for a very affordable price.